So as some might recall, I'm into my most ambitious phase of my running for the year at least in terms of races. In just a month, I've run a Half Marathon (Plus 5K), a marathon, and another Half Marathon with another marathon around the corner. I've already talked about the first marathon but I never got the chance to talk about the first half-marathon (and 5K) because April was super-busy. But after today's half-marathon, I thought it was a good opportunity to talk about the challenge of that run and the success of today. 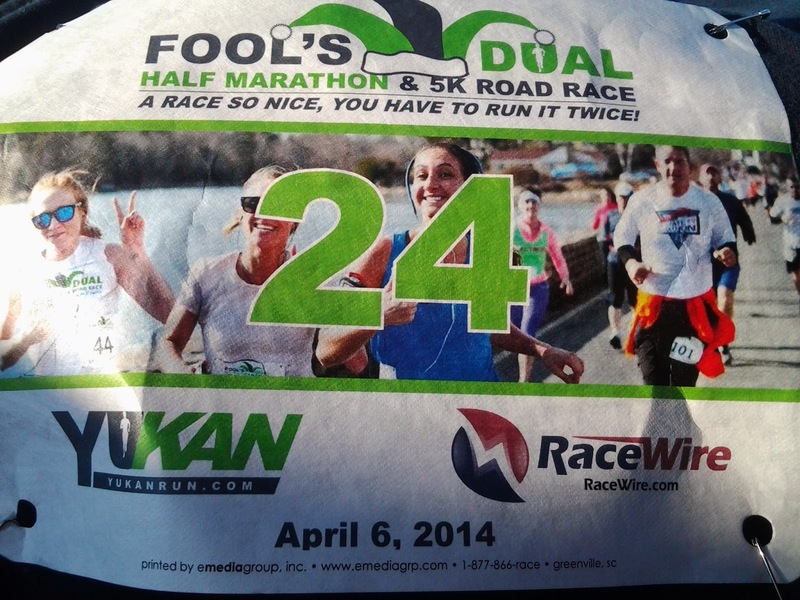 The Fool's Dual as it is called is a half marathon and 5K. Some people sign up for one or the other. I did the crazy thing and signed up for both (because clearly, I'm a fool.). The 5K came first and I treated merely as a warm up. I didn't pay attention to time and just eased into it, looking get the benefit of a respectable warm up before diving into the half marathon. When I originally was thinking of writing a post about this run, I was going to name it, "The Fools Dual, or The Hills of Gloucester Have OWWS!!!" This was a very hilly course and it felt like every time I was coming off a hill, there was another one. 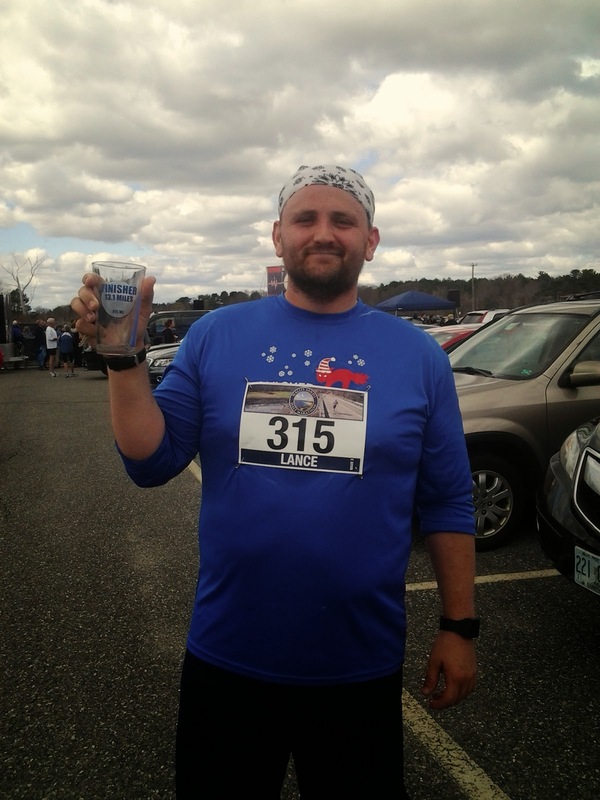 While was I ready for a half-marathon, I don't know that I was ready for a half-marathon. I went into the race, thinking that I would definitely at least get close to my last best from the fall, about 2:05 or so. I thought it was in the bag until the I was a few miles into the race and clearly realized it wasn't going to happen. 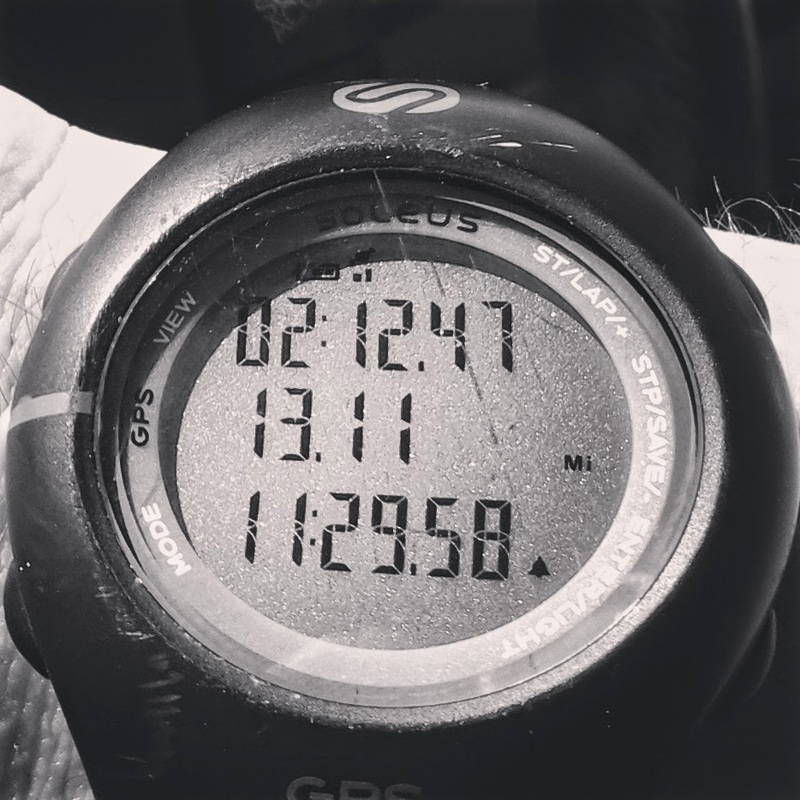 I struggled through this race and while I ultimately made good time for my first complete half-marathon of the season (2:12:47), I was still a little bummed that the race took such a toll on me. Again, by contrast to last year's first half marathon (which was in July and had me coming in at 2:41), it was a major success and despite the hills, I managed to complete it strong, particularly the last mile. By the end of the race, my legs were dead weights for sure but there was some other things I noticed from the run. The first was that while it was almost perfect weather (50s and sunny), I didn't realize how much the sunny would drain my energy. However, it was early spring and there were no clouds. What this mean was that there was no actual shade on the route, it was just sun the whole time. Towards the end of the race, I could feel the effect on my face and head of being in direct sunlight for two hours. That's just not something I had thought of as an issue while running in the cooler weather. With some disappointment from this race because I wasn't closer to my 2:05 time when I ran the marathon last October and some disappointment because the marathon from last week was a bit rougher than I anticipated, I had a week of contemplation as I geared up for the half-marathon this weekend (or rather let myself recover from the marathon and try to get in some running for this event). I've been putting in the hours of running (averaging over 30 miles a week since March and about 130 a month for March and April). My legs at this point, particularly from the knees downward look two massive tree trunks. I knew I needed something in today's race to pick me up from propel me forward as I approach marathon #2 next week. 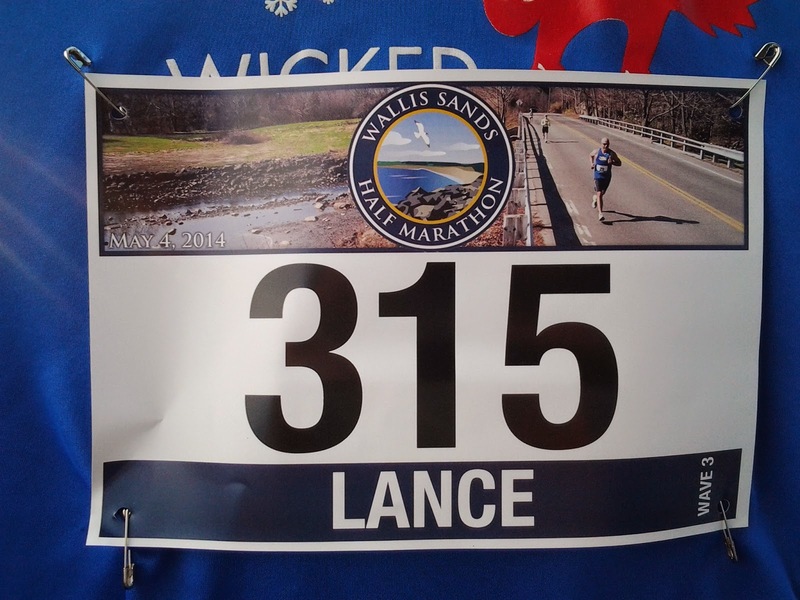 The Wallis Sands Half-Marathon was exactly what I needed. It's a pretty run with a good chunk of it along the coast and small towns in New Hampshire. More importantly, it was a largely flat course with a few inclines but nothing I faced in the prior two runs. The weather was perfect at the start and throughout, being sunny and in the 50s with a good breeze (though that sometimes was a pain--particularly at the end). I arrived about an hour before the race as usual. I got my number, pinned it on (with not body piercing--win! ), and relaxed in my car for a while as others showed up. There was a good amount of people at this event--over 900 runners and walkers as well. Rather than one herd release, they were doing timed releases so I was in the third group which was about 10 minutes after the start of the race. I gave myself time to stretch, hit the bathroom (and wait through the long lines) and was ready at my time. I instantly took up two strategies that I found extremely useful in getting through the marathon that I had not used as much in the past. The first is I worked hard to breath in through my nose and out through my nose or my mouth. Typically, I've been a mouth-breather because breathing through my nose is annoying as it is often runny during the races. I grinned and bared with and brought a snot rag. The other method I worked hard to hold onto throughout was to focus on the ground in front of me. I have found that when I do this, coupled with the breathing, I am able to pick up speed. I move faster without necessarily feeling like I am moving faster. The two things just allow me to focus my energy and attention. So I held as best as I could to these two tactics, though occasionally, they would be derailed. I needed to look up to figure out where I was going or to work on maneuvering around people. The breathing would be interrupted by having to blow my nose, drinking liquids or eating food (ok, gel packs are not food but you get the point). Ultimately, they paid off. 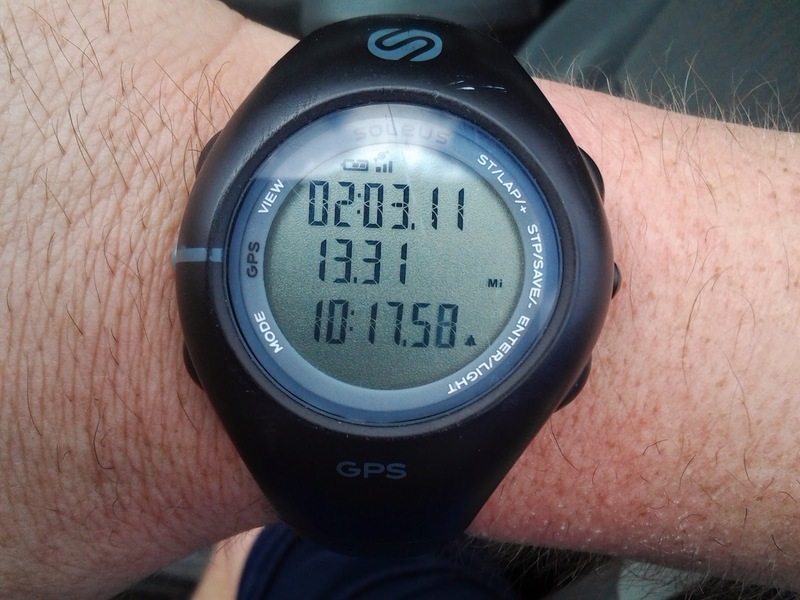 I landed my best half-marathon time yet: 2:03:07. Though I was really hoping for under two hours, I knew by about 1:45 that it probably wasn't going to happen. My muscles were ok, through it was clear that my quads were solid rocks. More pressing was that my feet were feeling the effect of the hard run on top of three previous days of running (a 4 mile on Thursday, 9 mile on Friday, and 3 mile on Saturday). They were already in tough shape going into it. However, they struggled on and got me to a personal best. According to the results, I came 347 out of 922, which is to say I came in among the top 40%. In general, these placings never really matter much to me. Everyone that showed up to run busted their butts and other body parts to get to that finish line. However, I am proud that I finished in the first half for probably the first time in any of these half-marathons. I also supposedly came in 3 among the Clydesdales (our of 14) but am not sure how accurate or relevant that is. So there's the win that I was looking for. Next week, I have my next marathon which is essentially five 5.08 loops. I'm actually very curious to see what effect this will have on my running and my conceptualizing of the the run. If I can think of it in strict terms of 5 loops, can I somehow do better overall? I guess I'll find out!